My friend & I took a special 6 day tour package designed specifically to accommodate our needs by Arun at Iris Holidays who was very helpful and efficient all throughout the process. 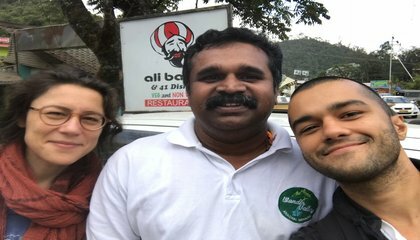 Our driver Sreekumar couldn’t have been nicer. He was more of a tour guide than a driver actually, always showing us interesting places and taking care of all our needs. His driving is also immaculate, we felt so safe all throughout the trip. All in all a very positive experience and highly recommended to everyone who’s thinking of going to Kerala!